I don't think I ever showed you guys a peek at my Leontine Linens towels that I got a while back for our guest bathroom. They are pretty gorgeous and I l-o-v-e my monogram. 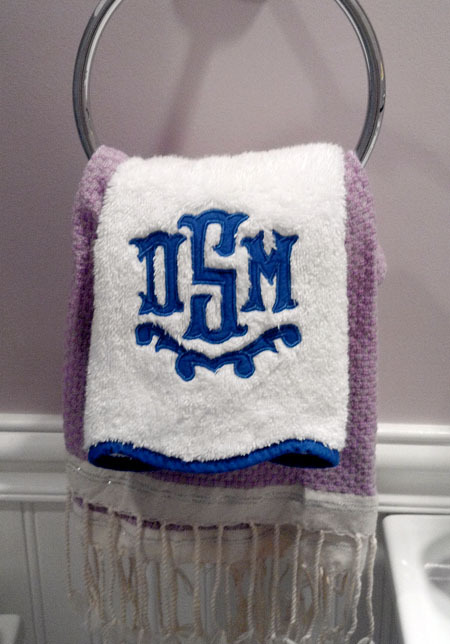 I went with the fingertip towel with the Rayford applique monogram in french blue. What a little treat for the bathroom! And I layer the towel over a metallic lavender fouta towel from Scents & Feel that I snagged on One Kings Lane several months ago. I think layering the towels beefs up the look and adds some interest. These towels get lots of use and have held up well in the wash, so I highly recommend! 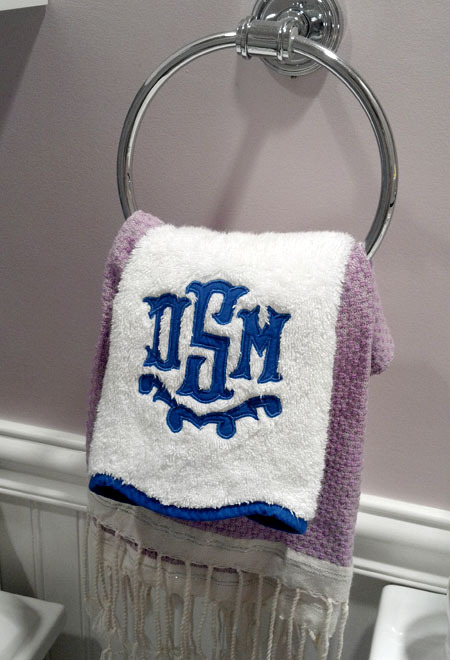 You cant go wrong with a good monogram! I love you did yours in royal blue!